Major League Baseball did not grow into an $8 billion business over the last two decades without burying some bodies along the way. There's a mass grave in Iowa. Plenty more scattered throughout Las Vegas. A few in North Carolina. Some in Buffalo. Lots strewn about Canada. Everywhere in Hawaii. That was the price for baseball fattening itself on television money: poor fans who just want to watch a ballgame but can't because of MLB's greed and gluttony. Here we are. Still. Years later. It's 2012. We can watch anything we want anywhere we want on any device we want at any time we want. Except baseball games. If you live in Iowa, you can't see the Brewers, Cardinals, Cubs, Royals, Twins or White Sox. It's just as ugly in Vegas: no A's, Angels, Diamondbacks, Dodgers, Giants or Padres. Baseball continues to black out televised games in these areas because of territorial-rights rules conceived when TV was black and white and people actually watched commercials. And it's more evident than ever why baseball does it: to protect its relationship with the regional sports networks that are paying billions of dollars for the exclusive rights to broadcast games in demarcated territories. It's a business deal that enriches MLB, the networks and cable companies while passing on every last dime to fans – and leaving tens of millions unable to see their favorite team play. Preying on the very consumer who wants to buy your product seems like the antithesis of good business sense, and yet baseball has done nothing to change its tack. 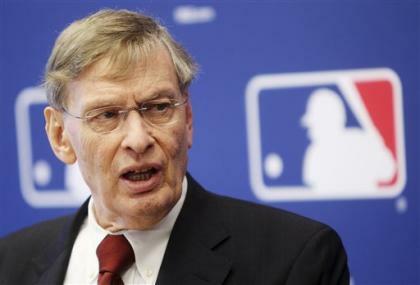 Commissioner Bud Selig said: "We'll figure it out. … We have to do something about it." Since then, television-based revenue has become baseball's lifeblood, bringing in far more than ticket sales, merchandising, concessions and sponsorships. Live sports programming is DVR-proof and immensely valuable to advertisers, enough that a club in bankruptcy, the Los Angeles Dodgers, fetched $2.15 billion when sold in April. The revocation of the current blackout rules grows unlikelier by the billion. Unless, that is, four fans and an armada of lawyers can reverse the most inane, arcane rule in sports. On the first page of a complaint filed May 9 in Manhattan, two words aim squarely for Major League Baseball's jaw and deliver a swift blow: "Illegal cartel." Garber et al v. MLB is a class-action antitrust suit looking to do what no amount of complaining from baseball fans could: destroy the blackout rules. Four fans – Fernanda Garber, Marc Lerner, Derek Rasmussen and Robert Silver – are suing MLB, MLB Advanced Media (which runs the MLB.tv service), DirecTV, nine teams and eight stations that broadcast games. They claim baseball "colluded" by packaging its out-of-market games together via the Extra Innings and MLB.tv offerings and that the league and its partners "exploit their illegal monopoly by charging supra-competitive prices." The basis of the argument is simple: By dividing up territories and setting fixed prices, MLB is in violation of the Sherman Act. If baseball is indeed breaking antitrust laws, its entire business model goes kaboom. And so while lawsuits stream into 245 Park Avenue frequently, this is one, according to a number of sources, the league is taking very seriously. That doesn't mean MLB is concerned it will lose. A number of factors favor the league, according to antitrust and sports law experts. A vast majority of antitrust cases are found in favor of the defendant, and that's if they reach a judgment. Often, as has been the case in past sports antitrust cases, the parties settle before the discovery phase, which can be a long, drawn-out and very expensive endeavor that can reveal secrets baseball would rather bury. Baseball is likely willing to pay a premium to keep its blackouts intact and business model healthy, even if the experts agree case law often favors the leagues. While the NFL lost a landmark case last year in which it tried to establish itself not as 32 independent teams but one league, courts still have found leagues are uniquely interdependent and different than normal competitors. And ultimately that's what this case boils down to: Are baseball blackouts, and the sport's entire TV distribution model, pro- or anti-competitive? 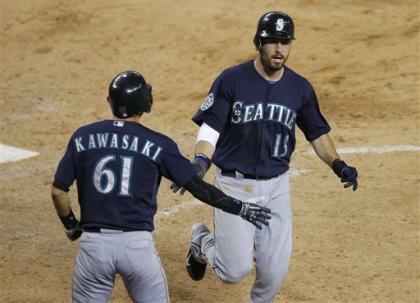 The arbitrariness of MLB's territories – seriously, six teams want to claim Iowa as their own? – lends a sense of unfairness to the system. And yet baseball can say it has no obligation to distribute its games as it does, and the sports-law experts believe that might be the most compelling argument of all: MLB has designed its product to help its business run best, and just because there is collateral damage doesn't make it inherently anticompetitive. Beyond that is MLB's trump card: its antitrust exemption, which remains one of America's great legal mysteries. Scholars have spent careers dissecting it, judges have lamented its being, experts have wondered whether it even exists anymore and baseball has been loath to wield it, aware that a judge may take a gander at it, recoil at its illegitimacy and overturn it once and for all. Whether we get to see it sooner than later may depend on the resolve of the plaintiffs and just how willing they are to fight a league that has no qualms with alienating entire states. Here's how the regional sports network (RSN) system operates. Exclusive content, such as live baseball, makes them must-carry channels for cable companies. RSNs approach them, demand to be included on their basic-cable tier and reap huge subscriber fees when the companies accede. In areas where it makes no sense to carry a particular RSN, the fans are out of luck even if they buy the Extra Innings or MLB.tv packages. Baseball will black out those games. Why would Charlotte, N.C., where the Cincinnati Reds are for some reason blacked out, ever carry Fox Sports Ohio? It wouldn't, of course. Certainly Buffalo has no interest in Root Sports Pittsburgh. Canada's distribution of Rogers Sportsnet has been a mess historically – especially considering the Blue Jays own the entire country's rights – and Hawaii, which is thousands of miles from a major league stadium, splits its territory among the A's, Angels, Dodgers, Giants, Mariners and Padres. No TV provider in Hawaii carries Mariners or Padres games. Oceanic Time Warner, the dominant cable company on the islands, doesn't subscribe to the Giants or A's RSNs. When Sen. Daniel Inouye wrote MLB to voice his displeasure over the blackouts to his constituents, he received a letter from Chris Tully, the league's vice president of broadcasting. In the correspondence, obtained by Yahoo! Sports, Tully doesn't placate Inouye as much as turn into a salesman for the Bay Area teams' RSNs. Wrote Tully: "We at MLB would, of course, like to see Oceanic Time Warner better serve cable subscribers in Hawaii by distributing all four RSNs. … In the meantime, please rest assured that MLB and each of these Clubs are committed to serving the best interests of our fans in Hawaii." Whether legal or illegal, baseball's tack with blackouts is appalling. Rather than push its sport on a population that wants it, the league pimps a cable company. Rather than allow the game to seed itself among a younger generation, MLB turns away fans to protect partnerships with the sorts of corporations that will fleece fans any chance they get. RSNs pay stupid money for rights, cable companies balk at making customers' bills even more usurious and fans end up with no outlet to see their favorite teams and an empty screen on their TVs and computers. These aren't just blackouts. They're blackmail. The most forward-thinking executives in baseball agree: this must change, and soon. One team president compared it to the BCS, where self-interested entities resisted change because the comfort of the status quo and the fear where change may take them. If large-market teams continue to control the sport – the newest collective-bargaining agreement is expected to widen the competitive balance chasm – it may take longer than logic says it should. Currently, every dollar that goes through MLBAM, the league's digital arm that runs MLB.tv, is distributed evenly among the 30 teams. Large-market teams with enormous cable bases, on the other hand, get to hog those revenues for themselves. Were baseball to offer a-la-carte pricing on its games, something that makes so much sense it'll never happen, a large enough number of people would take advantage on mobile devices that it could devalue cable's exclusivity and cut into the gigantic TV-rights sums teams are reaping. Of course, the music industry once rebelled against single-song purchases … until Napster came along and almost took down the industry. There's no such nuclear bomb yet with baseball. The worst thing the league faces at the moment is people making videos about how to get around the blackout on the web. Perhaps Garber et al v. MLB can change that and, at very least, convince MLB to lift the blackout cloud and allow those who want its product to get it whenever they want, wherever they want and however they want – TV, satellite, phone, iPad – everything. Baseball has embraced the digital revolution so wonderfully, from its industry-leading streaming video to its social-media prowess, that something this elementary looks wrong, feels wrong and indeed is wrong. Subvert the greed. Suspend the gluttony. Figure it out, Bud, and do something about it this time. No more empty words. No more hollow promises. Let us watch.